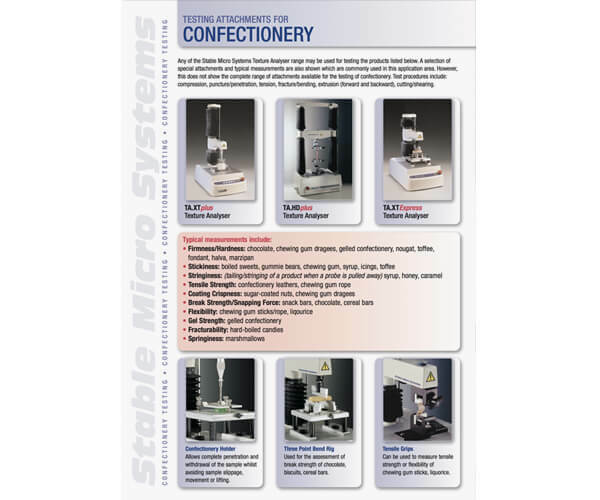 When you are considering the purchase of new equipment, we want to provide you with the information you need to make the right decision. 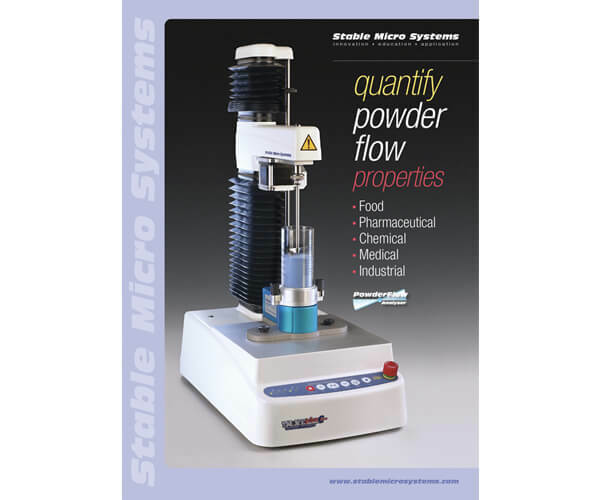 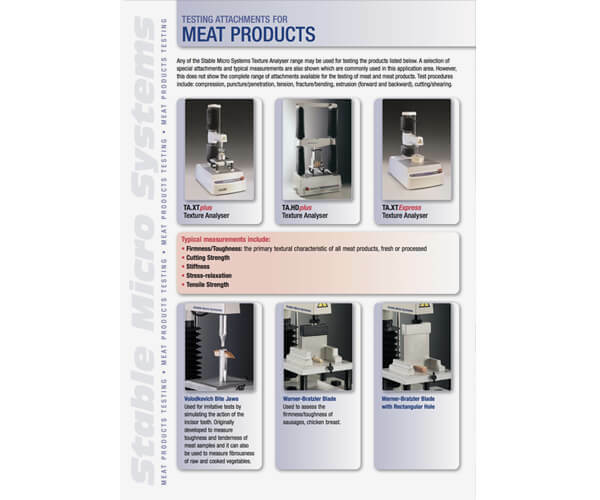 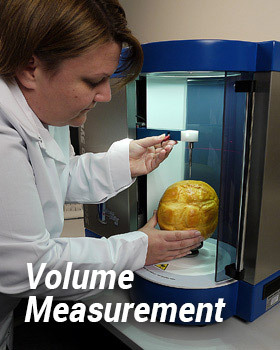 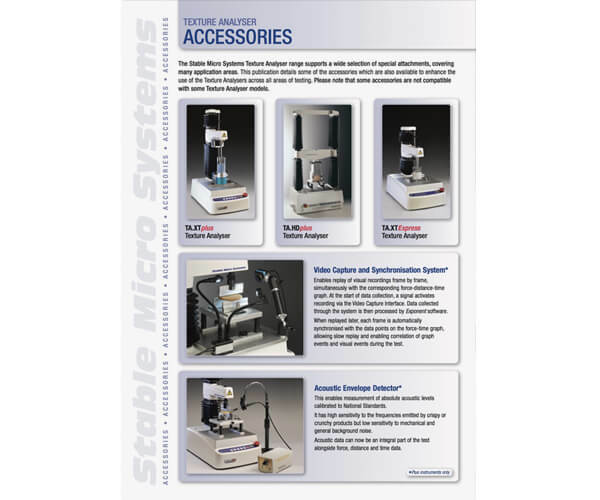 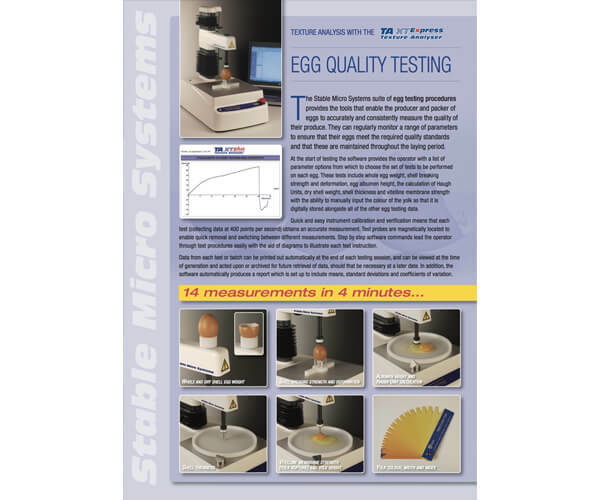 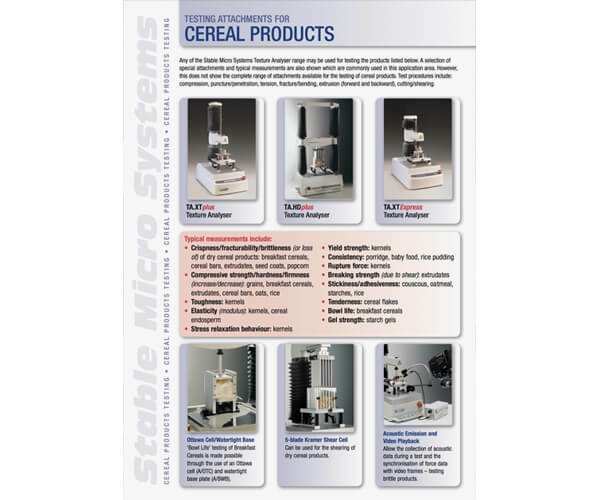 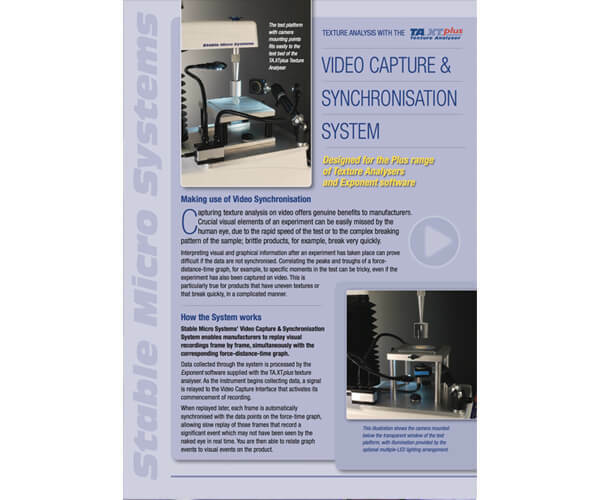 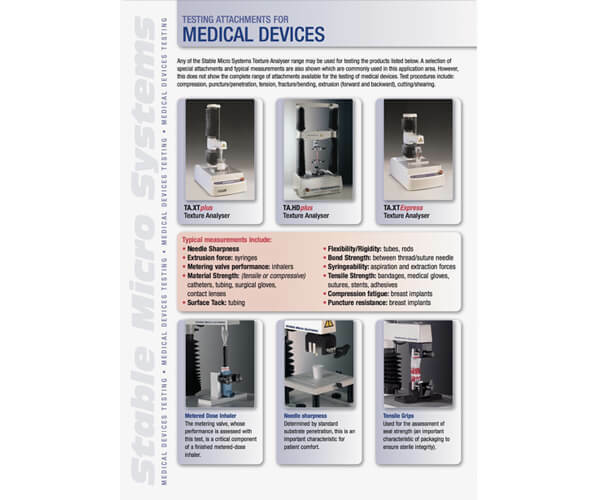 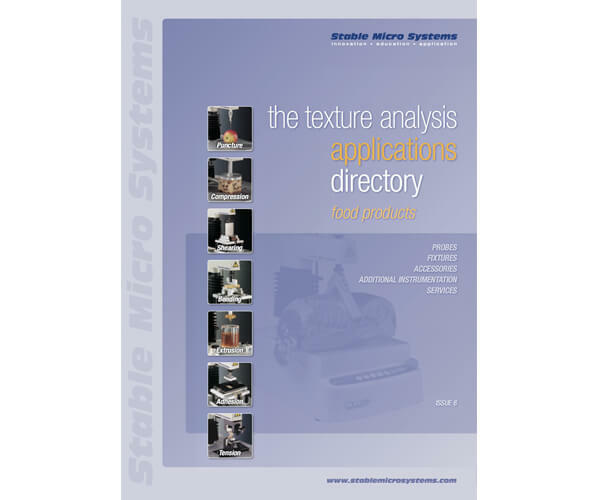 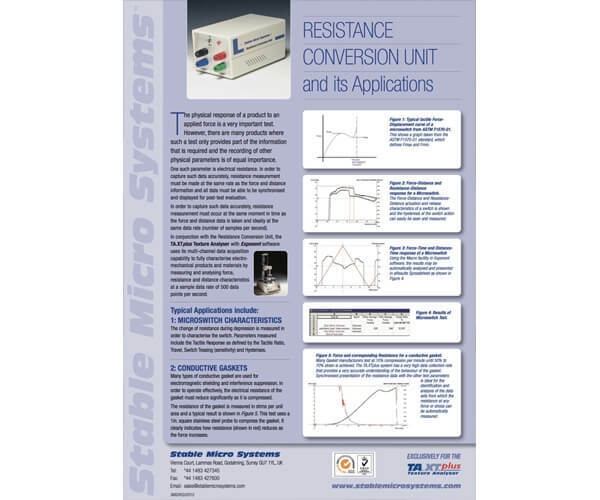 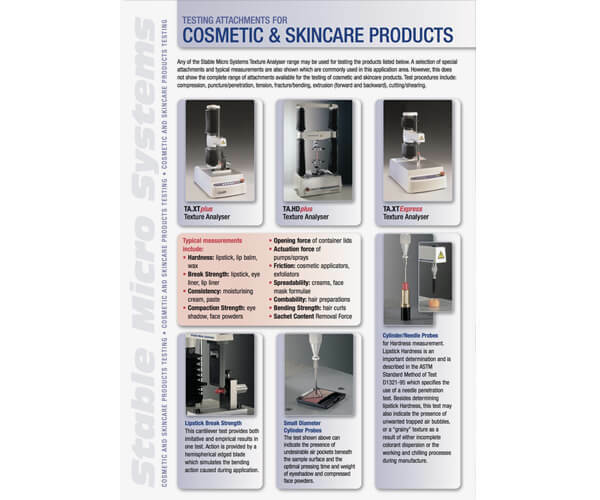 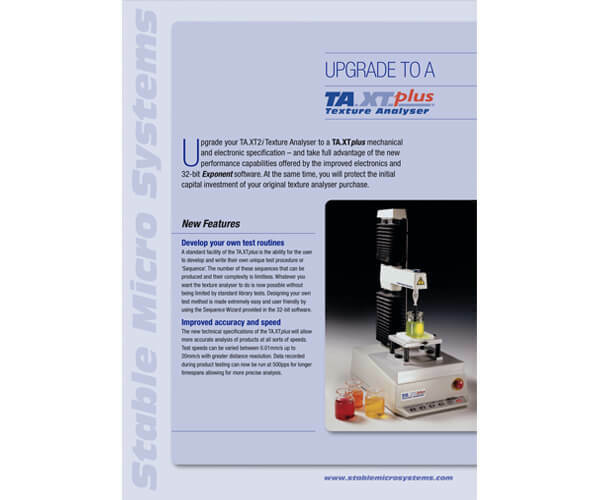 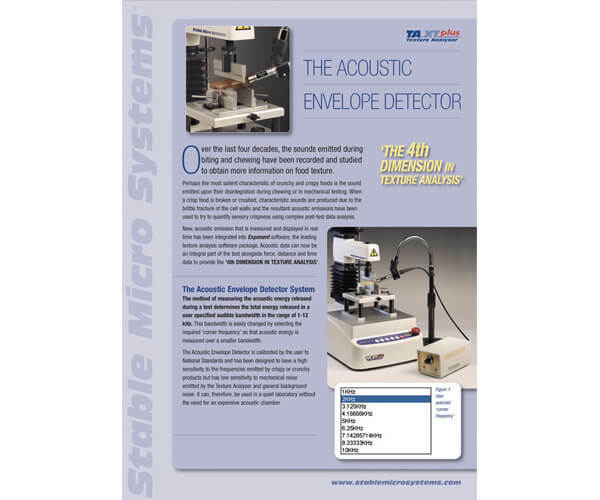 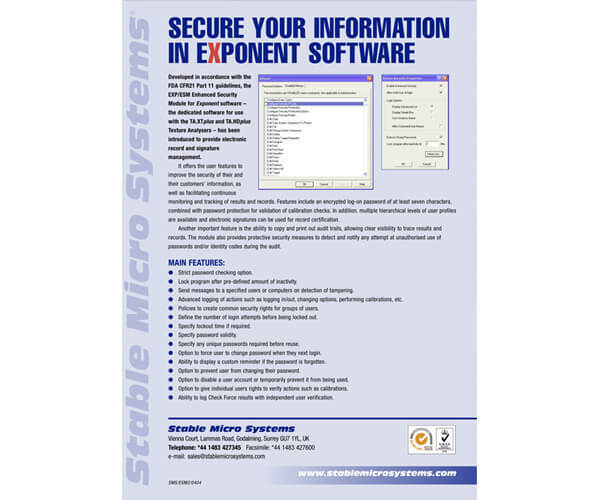 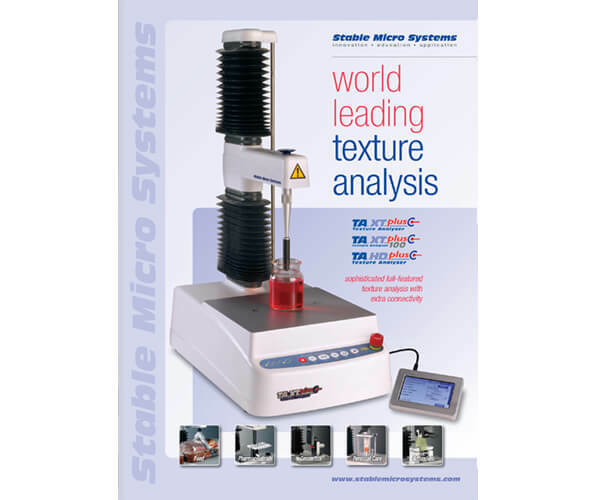 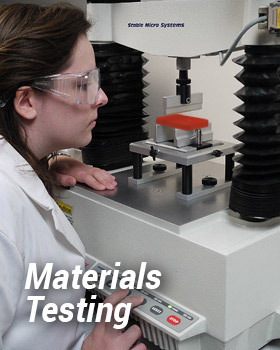 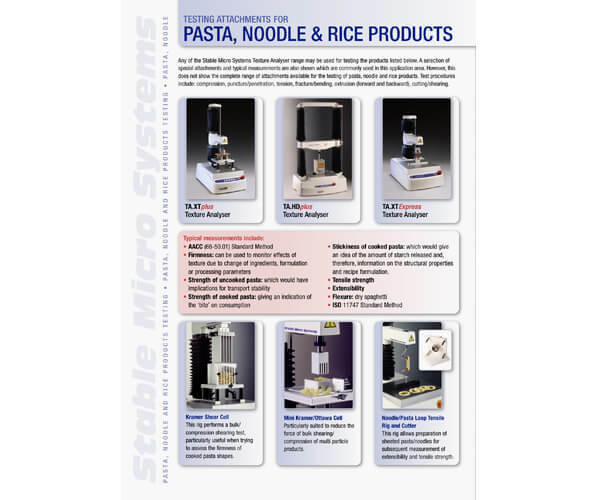 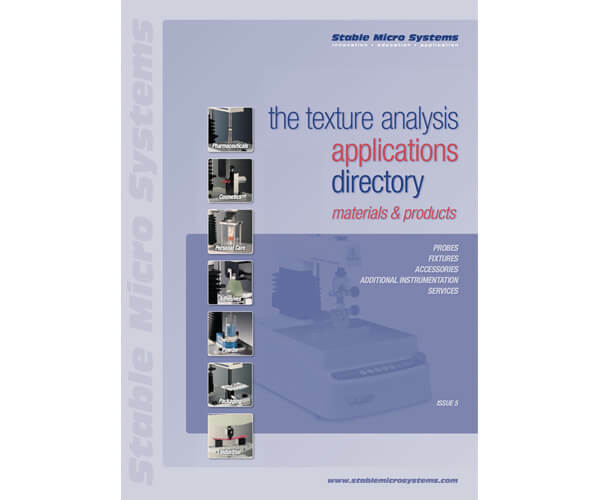 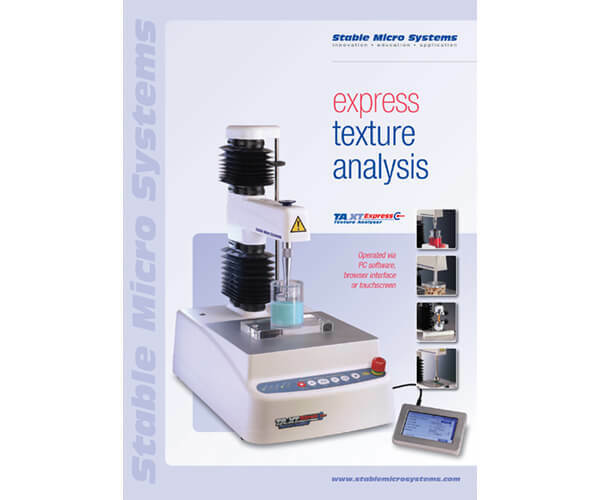 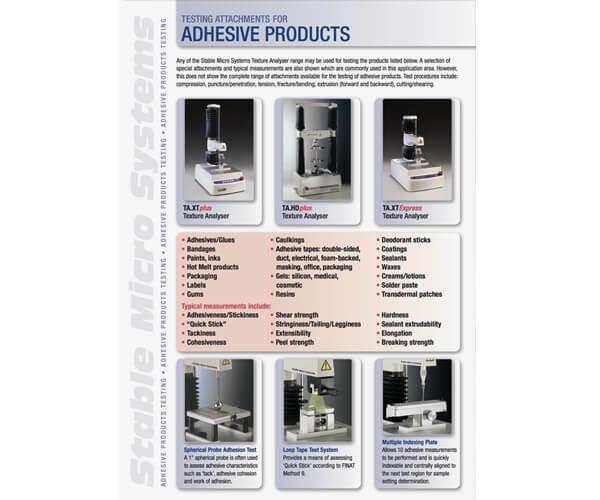 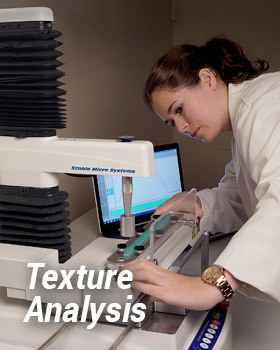 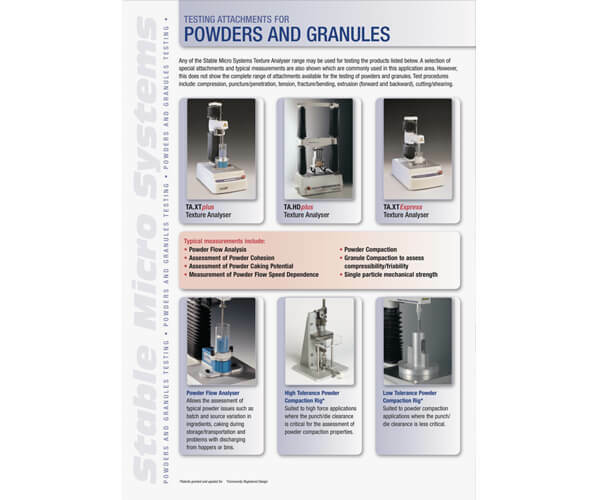 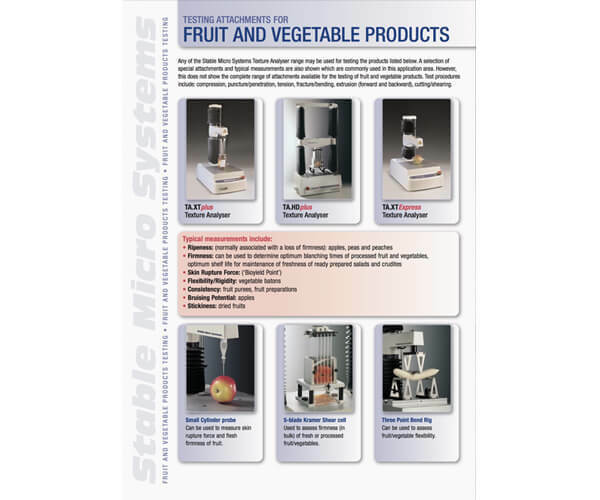 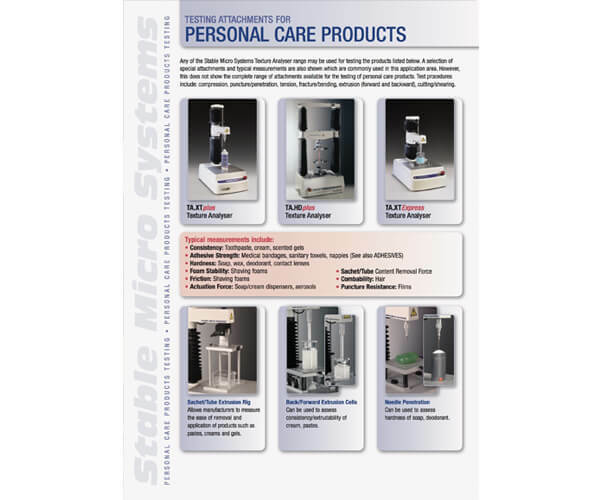 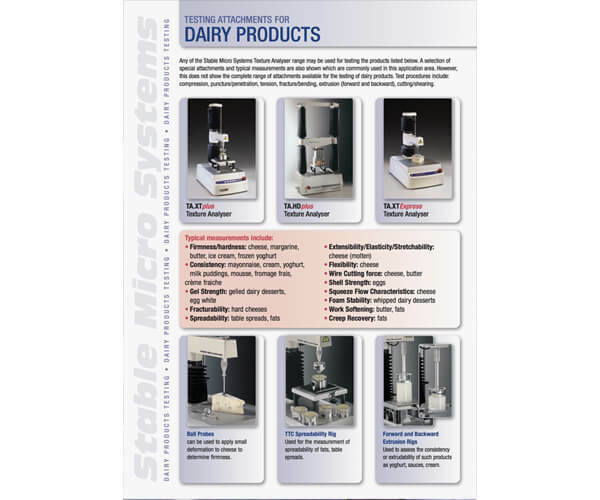 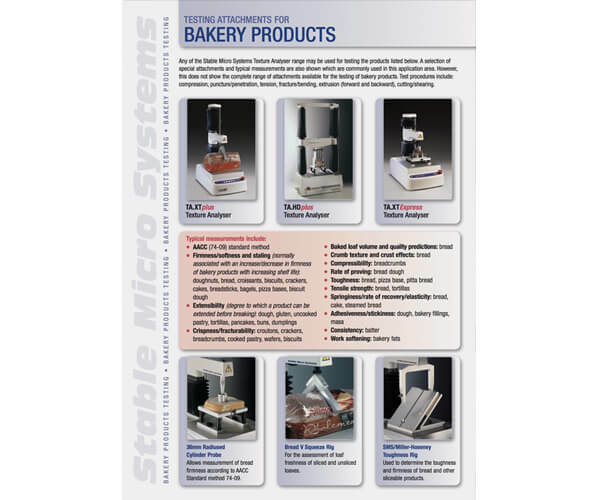 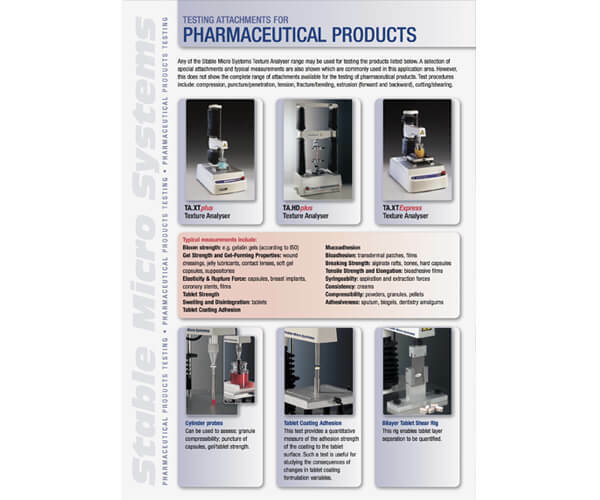 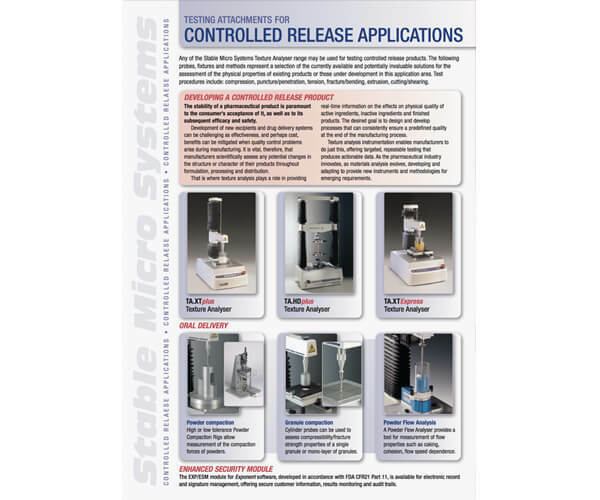 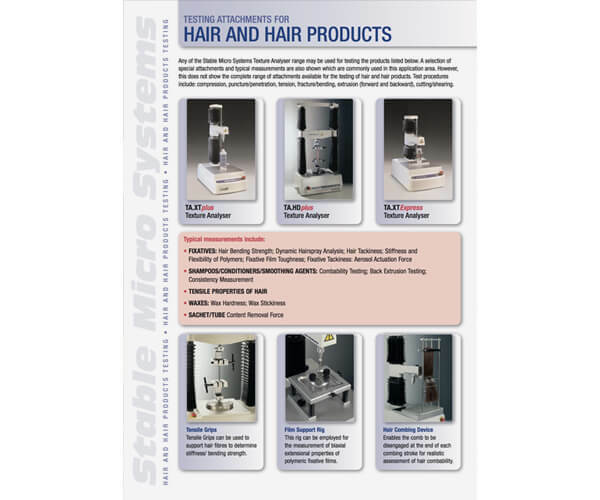 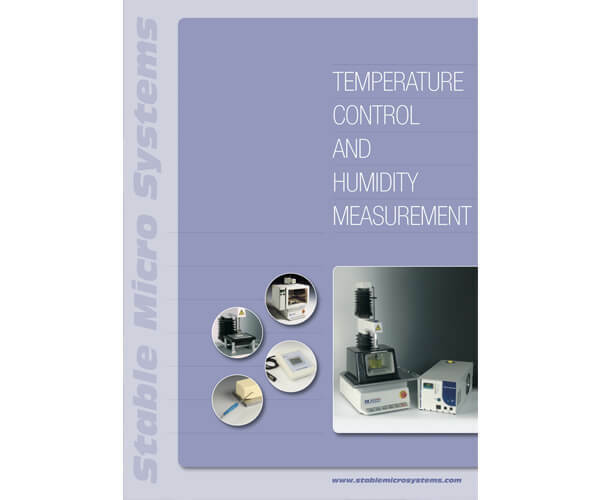 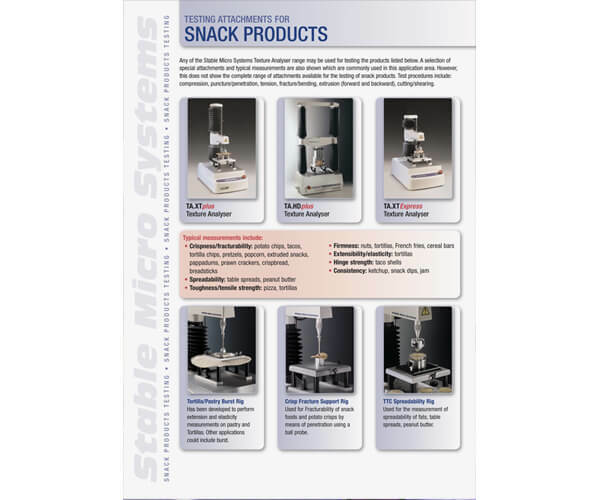 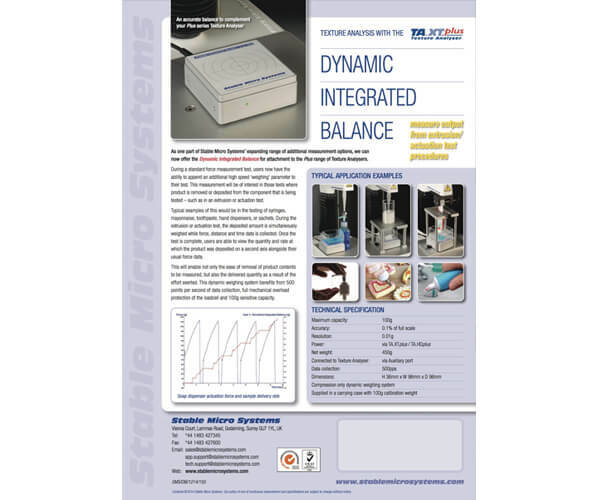 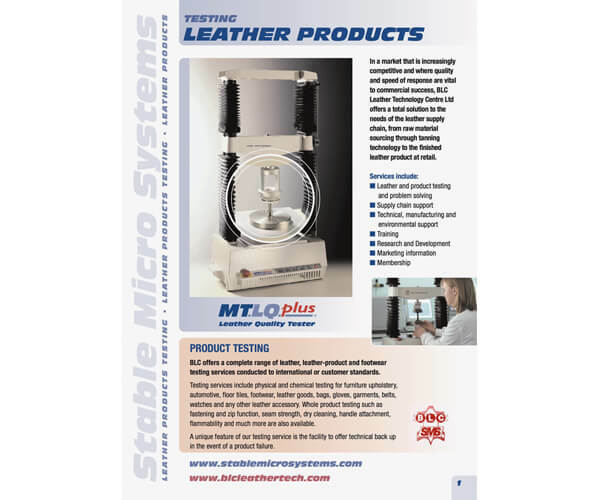 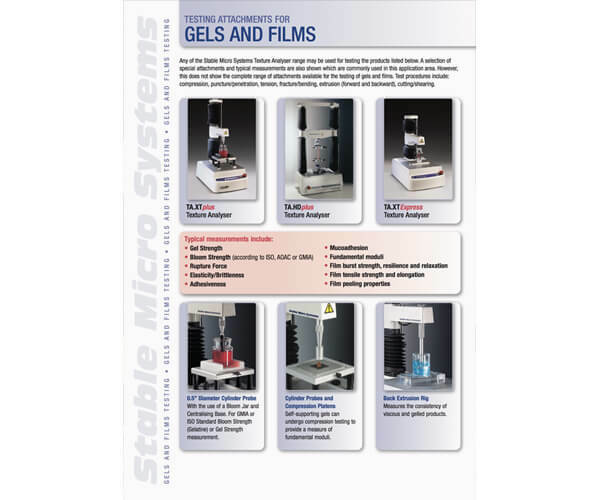 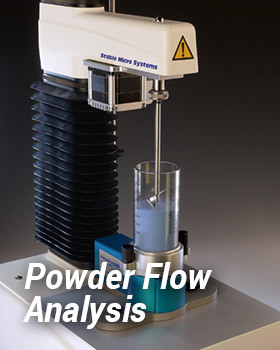 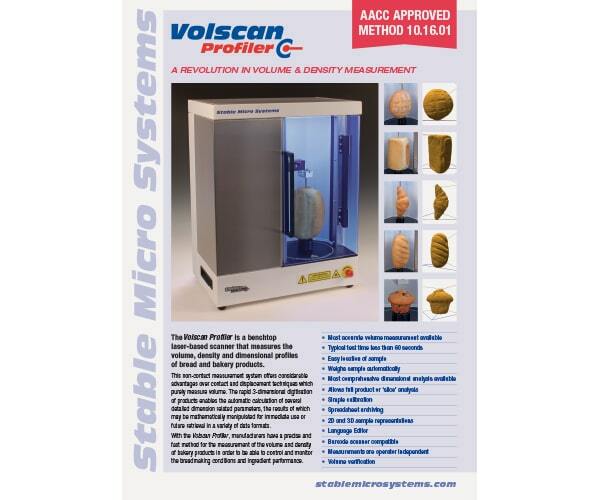 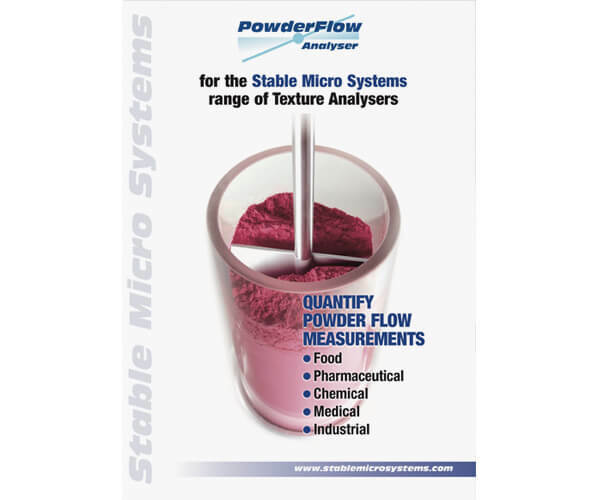 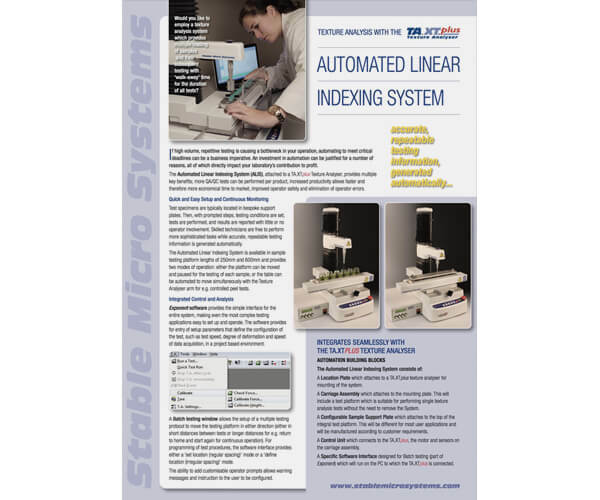 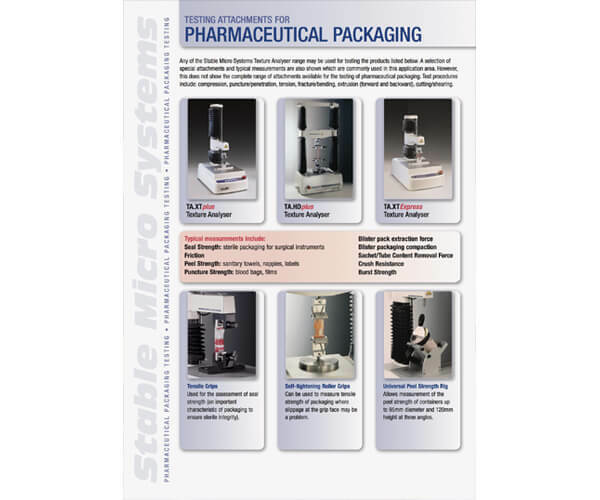 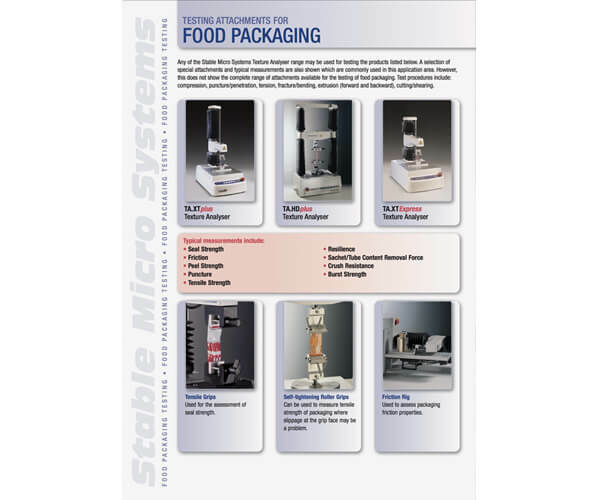 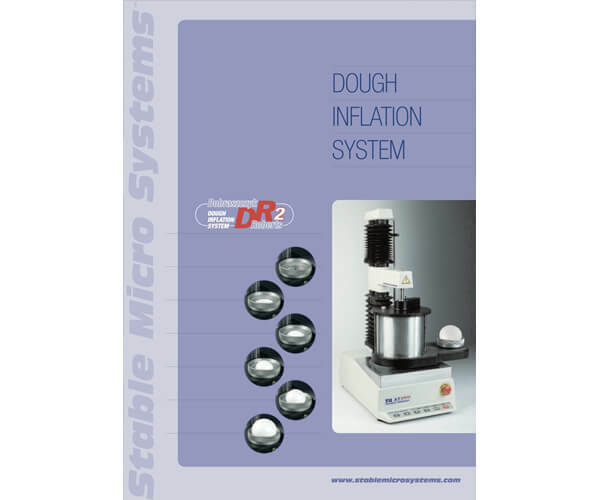 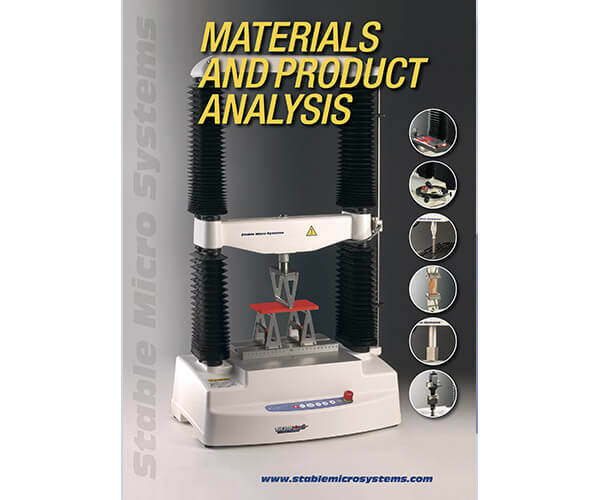 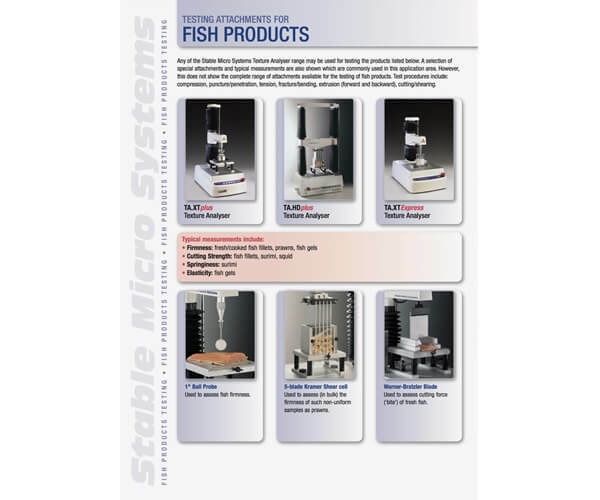 Brochures are available for our Texture Analysers, VolScan Profiler, Exponent software, major peripherals, ancillary equipment, probes and fixtures, and for various application areas. 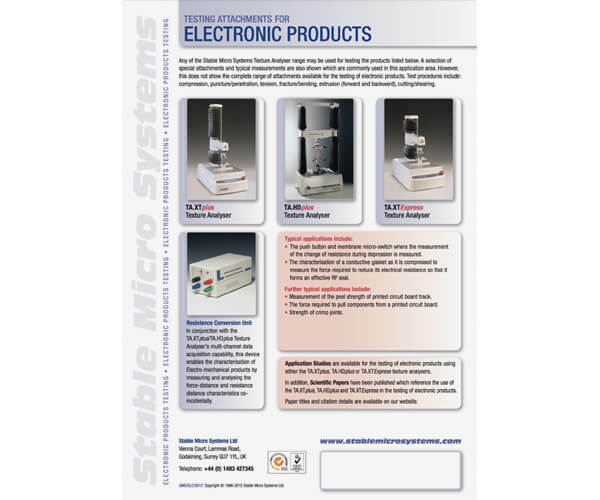 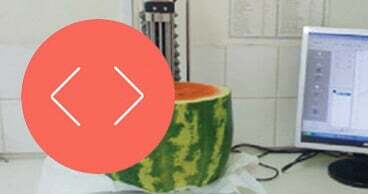 Please select the items that you require using the appropriate checkbox, and complete your details so that we can send them to you. 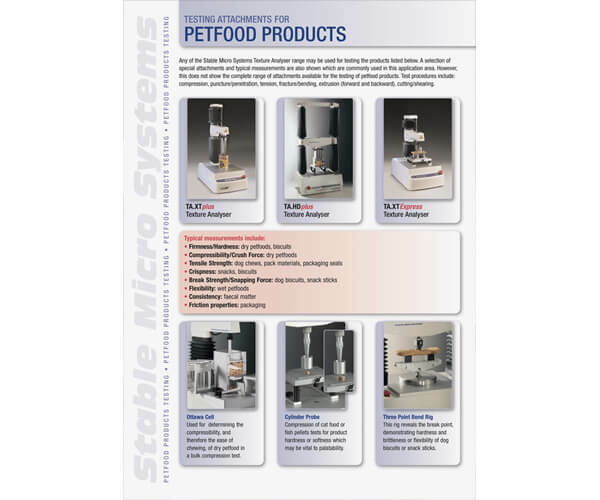 All the items listed below are available free of charge.